1. What degree level are you interested in pursuing? What degree level are you interested in pursuing? 2. Which degree program are you most interested in? Which degree program are you most interested in? As dean of the School of Adult and Online Education at Maryville University, Dan Viele brings decades of technology and higher education experience to one of the country’s fastest growing online learning programs, as well as directing Maryville’s Office of Strategic Information. Viele, a Certified Public Accountant and Certified Management Accountant, is an accomplished professor and leader. 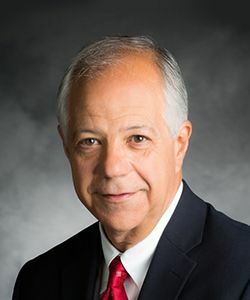 Prior to joining Maryville, he taught courses in financial, managerial, and cost accounting, as well as accounting information systems, at Millikin University and Webster University. Students and peers at Webster recognized Viele for outstanding instruction with the Kemper Award for Teaching Excellence, one of the university’s highest honors. Viele still teaches occasionally at Maryville and is co-author of Accounting: What the Numbers Mean, an accounting textbook now in its 11th edition and used by more than 200 colleges and universities nationwide. In addition to teaching, Viele also served as the Associate Vice President for Academic Affairs and as director of the Online Learning Center at Webster University, one of the early pioneers of online education. This work, as well as previous executive management roles in Silicon Valley and with other tech companies, sharpened the skills Viele relies on today to advance Maryville’s online initiatives. Viele has an MS in Accounting from Colorado State University and completed the Information Systems Faculty Development Institute at the University of Minnesota and the Advanced Information Systems Faculty Development Institute at Indiana University. Marshall, David, H., McManus, Wayne, W. & Viele, Daniel, F. (2017). Accounting: What the Numbers Mean (11th ed.). McGraw-Hill Education. Learn more about our online degree programs. Bring us your ambition and we’ll guide you along a personalized path to a quality education that’s designed to change your life. Copyright © 2019 Maryville University. All rights reserved.